Getting dressed in the morning for a long day of busking in the TrySkain, schmoozing with donors and paying lip service to institutional racism against Indigenous people at UBC requires a level of versatility that only a bowtie can provide. 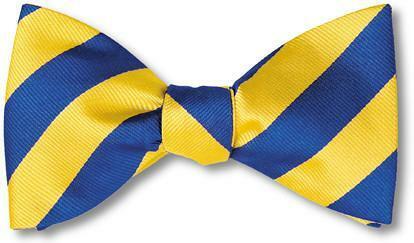 These fancy bow ties scream, “No comment!” to all those pesky journalists, students and survivors. You will go from dusk to dawn without a single person bringing up the fact that you still haven’t resolved the “scheduling conflicts” that caused you to cancel your apology for UBC’s involvement in the Indian Residential School System. Just like our prime minister, Indigenous people matter to you only when you can snap a quick selfie for your Insta, so why not go for a bowtie as bold as his socks? It works for him! Not feeling so bold about your all-talk-no-action Indigenous reconciliation strategy? The classic, conservative navy bow tie is the demure choice that subtly asks people to forget that UBC invited, disinvited, apologized to and then reinstated an alleged abuser of Indigenous children to speak at an event in the same year that you cancelled an official apology for your university’s support of institutional racism. Nothing says “edgy and relatable” and “putting the final nail in the coffin of UBC’s reconciliation effort” like a metal-studded bowtie emulating a cool rockstar! While it could symbolize the nails in the reconciliation pole that represent each child subjected to the abusive system, at a glance the studs are simply another ornament of the UBC PR machine that fuels your popularity and has so far successfully distracted people from the fact that your apology is now VERY overdue.